Amanda wears many hats at Horizon Dental. Starting as a Patient Coordinator, Amanda found herself drawn to the clinical side of the practice. So, in 2014 she passed her radiography certification and became part of the assisting team. As Amanda Says, "It feels good learning new things everyday." When she's not working in the practice, Amanda and her husband Jeff operate a family-owned sugar house. And to relieve stress, she goes to the barn to milk cows. 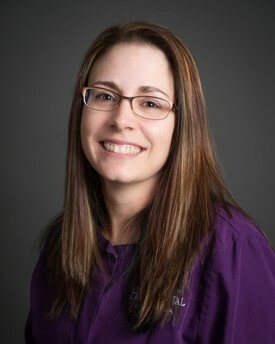 Holly started her dental assisting career in 2002 and since received her CDA (certified dental assistant) credential. 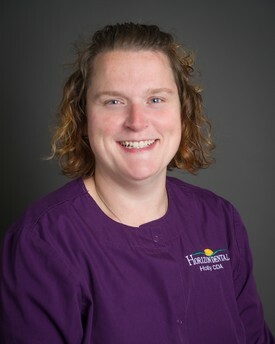 Always interested in growing herself and her career, Holly recently completed extensive training to become an EFDA (expanded function dental assistant) the highest certification in the state of Vermont. Holly is also well known for her baking expertise. So much so, everyone can't wait for their birthday and the cake Holly will bake. 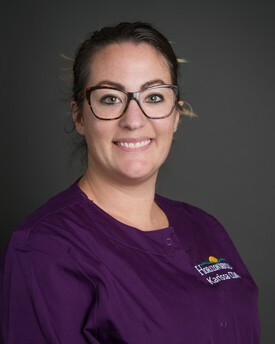 Karissa has been dental assisting for over 14 years and recently received her CDA (certified dental assistant) certification. Karissa brings enthusiasm and excitement to the patient experience. And much of this comes from her early years. After high school, Karissa set out on her own to travel the world spending time in Western Europe, North Africa, and Australia. And if navigating world travel wasn't exciting enough, she also rode sportbikes for over 10 years. 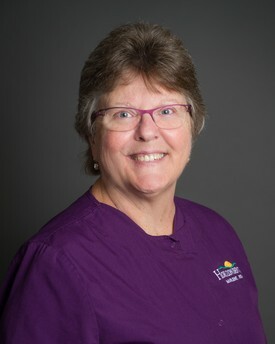 Marlene graduated from the University of Vermont in 1975 and has enjoyed working as a dental hygienist at Horizon Dental since then. Her greatest reward is the long-term relationships she's built with the patients over the years while helping them maintain optimal oral health. Marlene is active in the Brattleboro community including being the past president of the Winter Carnival. She takes pride in and is thrilled to be called Grama. And when her grandchildren aren't keeping her entertained she relaxes by scrapbooking and making cards. 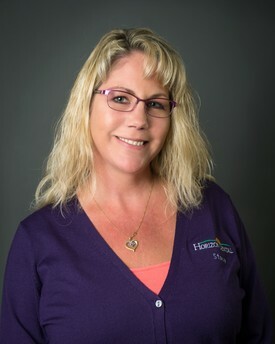 Stacy has worked at Horizon Dental for over 16 years. Stacy is the familiar voice on the phone, the welcoming smile at the front desk, and the expert helping patients meet their oral health needs through her extensive knowledge of dental benefit plans. If you have a benefits question, Stacy is the one for you. Recently married, Stacy has two beautiful teenage daughters and is enjoying watching her girls grow into phenomenal young women. Oh and there's something about a chicken . . . ask her. Wendi graduated from the New Hampshire Technical Institute with honors from dental assisting in 1993. Interested in furthering her career, immediately completed certification to become a CDA (certified dental assistant). Following her love of dentistry she went on to become certified in ortho and coronal polishing. 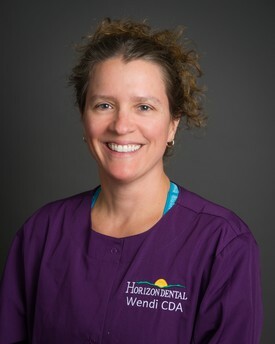 Wendi loves the intricacies of dentistry, meeting patients, and helping them feel better about their smiles and oral health. In her free time Wendi enjoys spending time with her ten year old son and various pets. If she's not in the practice, you'll catch Wendi camping with her clan in her travel trailer.